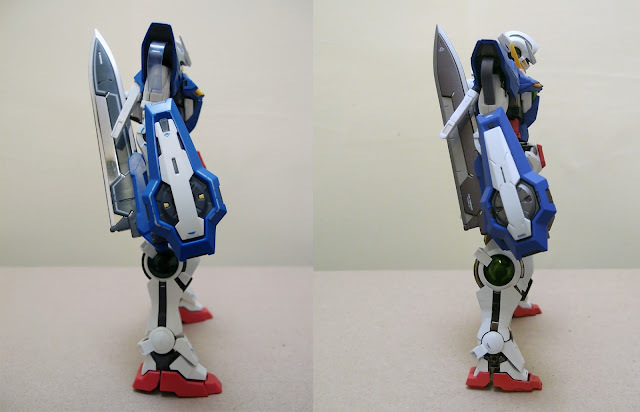 Head - GN strips a little thinner. 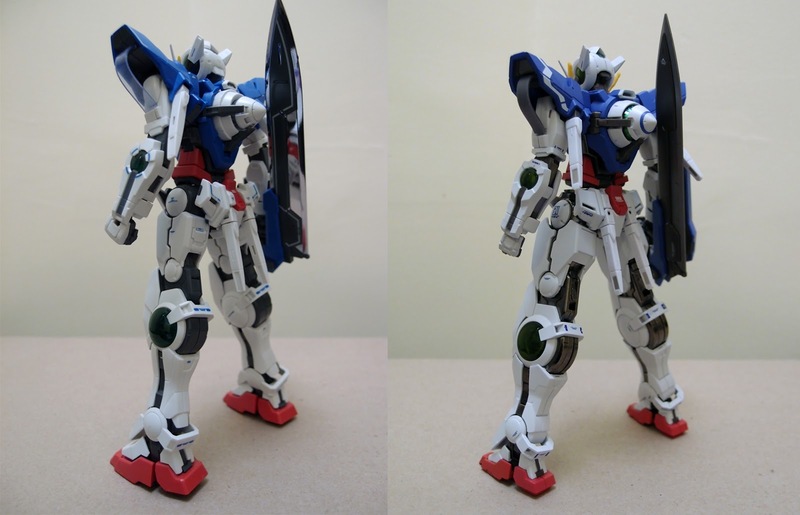 Torso - smaller body, thinner pilot hatch and + vents makes the Green GN globe bigger in proportion. Thighs - larger GN strips and longer in proportion. 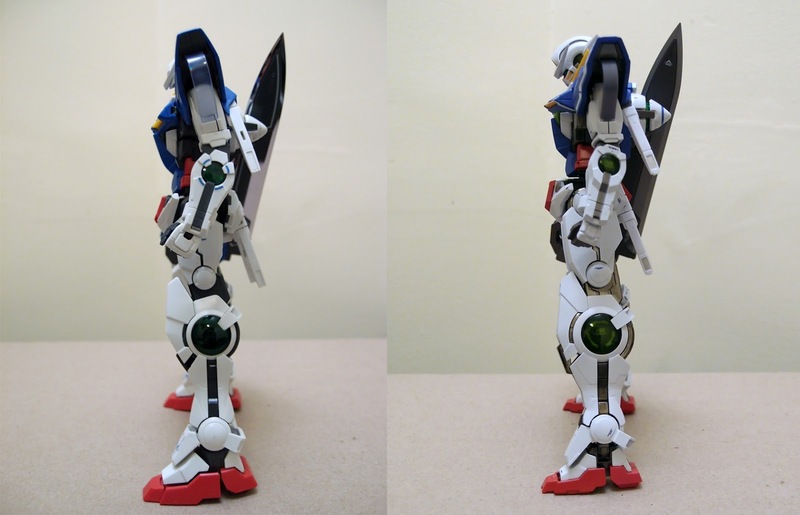 Feet - ~ 40% smaller. 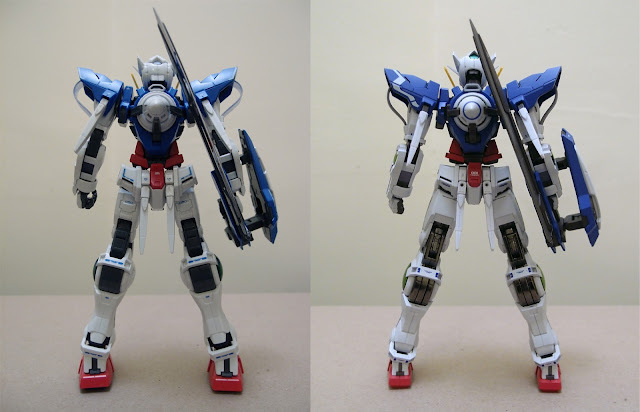 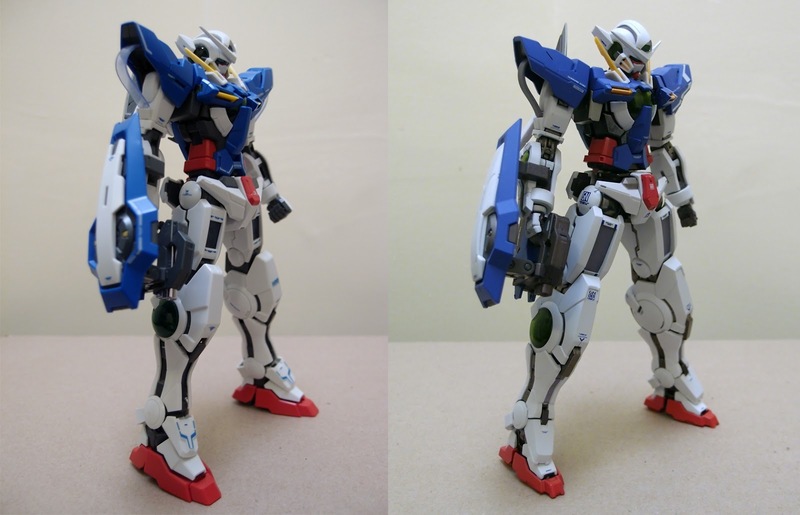 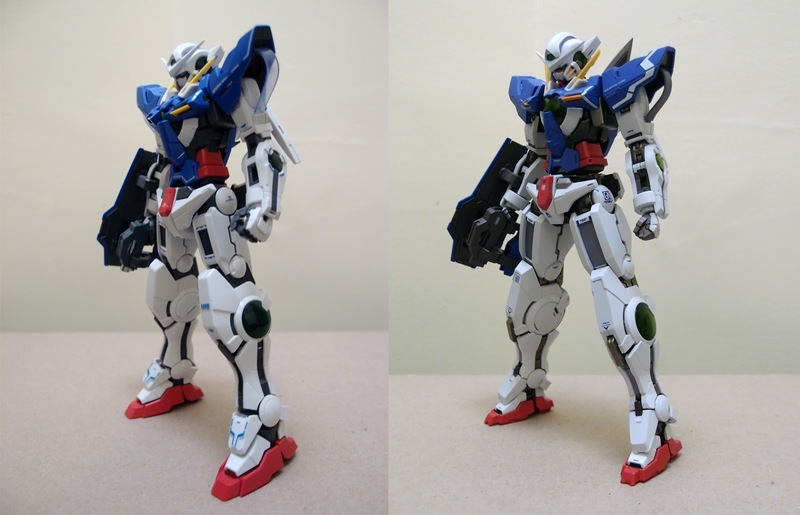 Tamashii made a lot of changes on the proportion, I think Metal Build made MG looks out of date. ANKLES - you gonna love this... very strong. 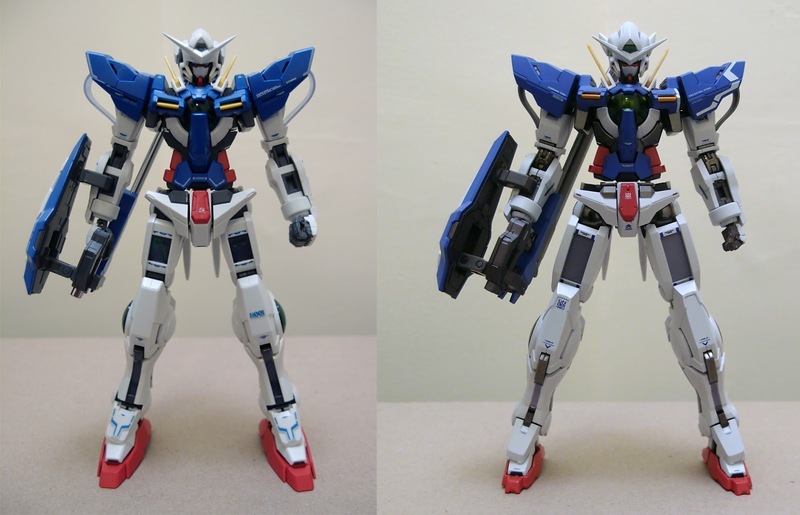 You will miss the torso side rotation on MG sometimes, But the ankles are one hell of an improvement. 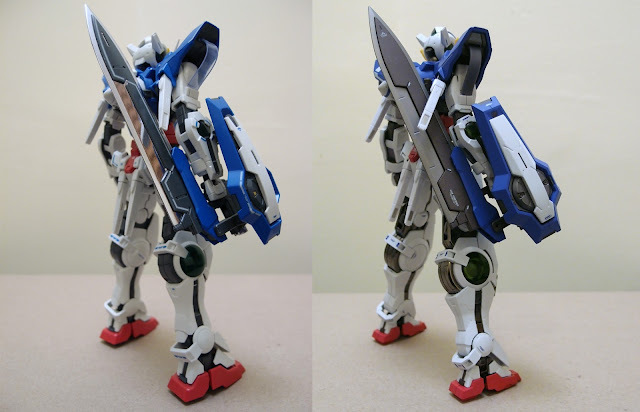 p/s: if you want it, better buy it now... before it gets expensive like Metal Build 00 seven sword .